Protesting with Sam in LA. I wrote this tribute to Sam when I found out he had cancer. Sam passed away today at age 59. I’m sharing this story again to remind people of Sam’s life. I hope he inspires you to do good in the world. Who is Sam Simon and why should you care? Sam Simon may have made you laugh more than most people you know. He made me laugh for years. I stopped laughing a few weeks ago when I learned Sam has cancer. Sam wrote for Taxi and Cheers, co-created The Simpsons with Matt Groening, and won multiple Emmys for his groundbreaking work but the animal protection community admires him for much more than those achievements. Thank you Andrew. He was a wonderful man indeed! 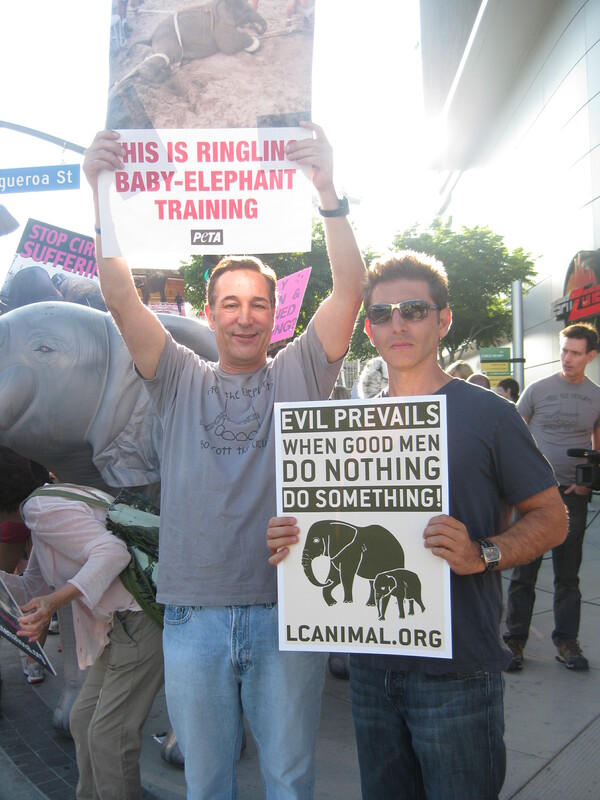 Sam Simon was a wonderful, compassionate man. Those who love and protect animals have a big heart and lots of compassion. They are good people like Sam. He passed too young, too soon. Him and his wonderful efforts to be the voice of the voiceless will be missed very much.